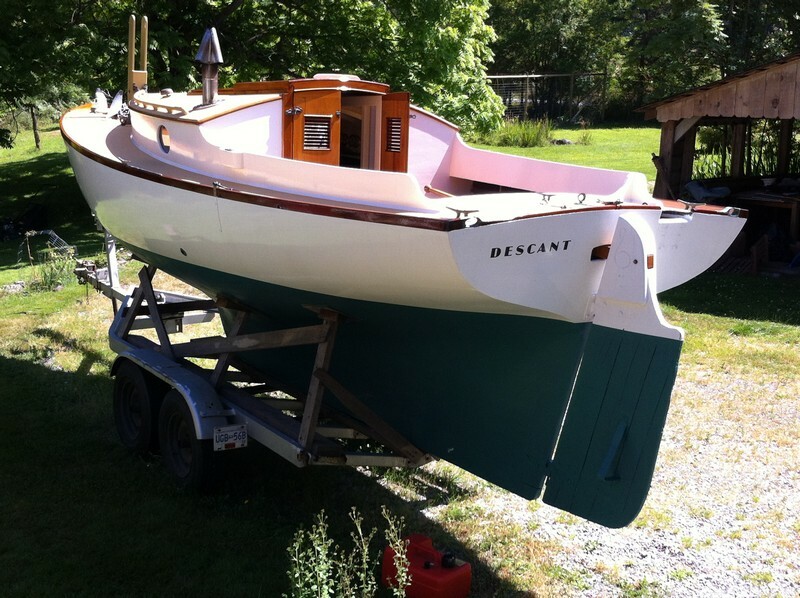 Descant is a delightful weekend cruiser, ideal for searching out small tidal poolswhere no one else can go. 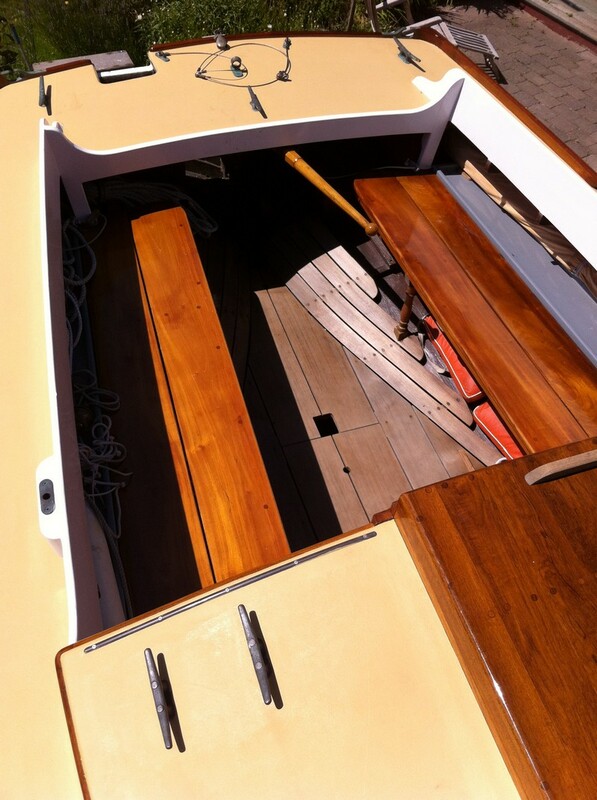 Designed as a "cat yawl" at the same time and of the same philosophy as the famous "Rozinante" which was a "canoe yawl". 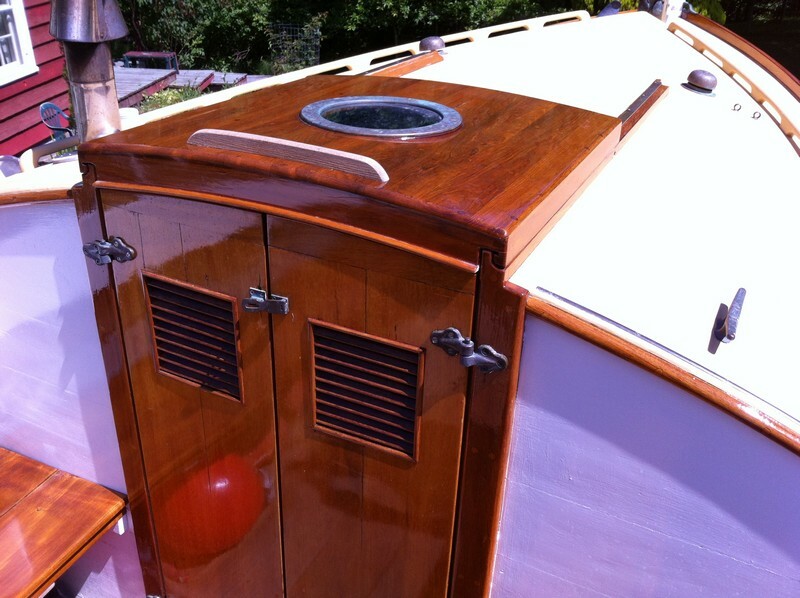 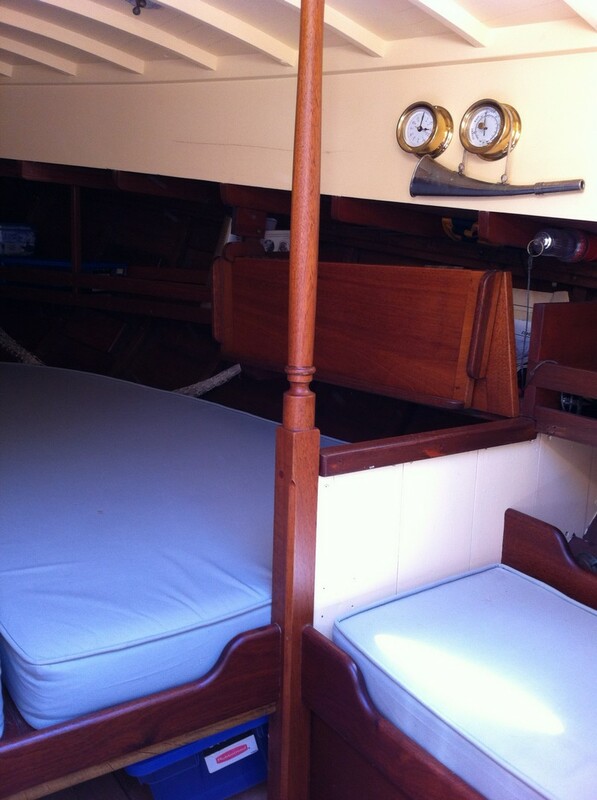 She has some trademark Herreschoff features, a very fine hollow bow cut away fore foot and a very pretty transom. 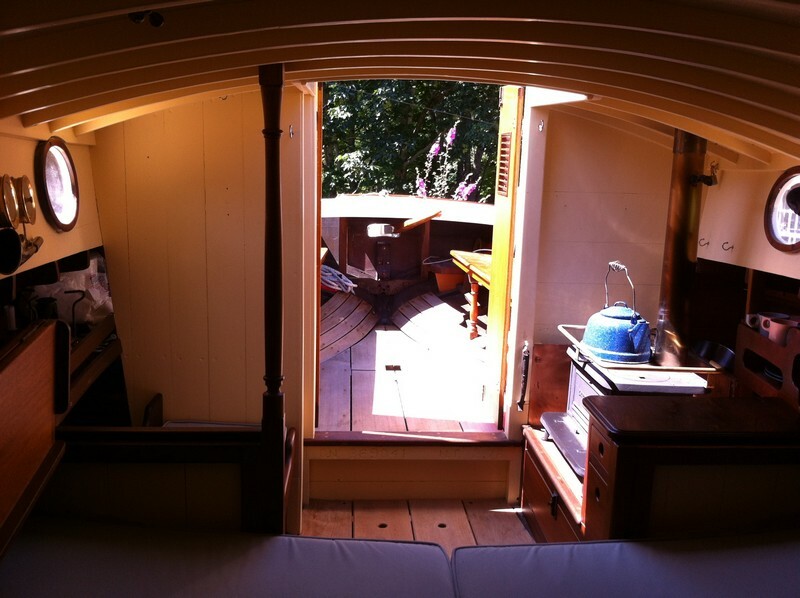 She received the 25 year refit, new keel bolts, wedge seaming of hull, new cockpit, canvas decks, toe rail and deck hardware. 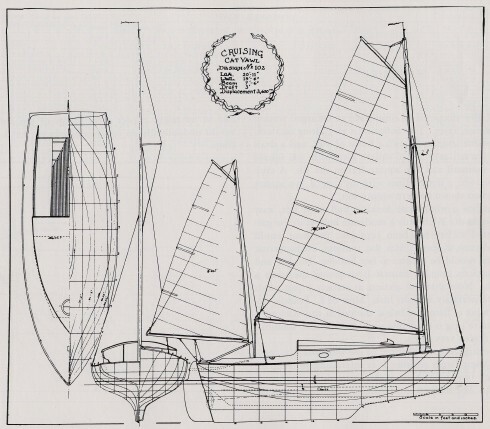 For an appreciation of the designs of Francis Herreshoff click here.